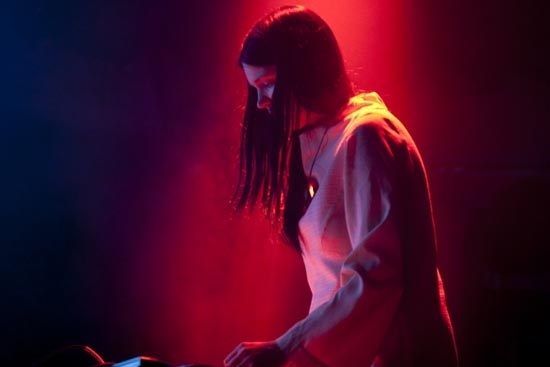 Last week, The Quietus was deeply saddened to hear that Broadcast singer Trish Keenan died from pneumonia after contracting the H1N1 virus in Australia. Broadcast released their first EP The Book Lovers in 1996, they went on to release four studio albums: 2000's The Noise Made By People, 2003's Haha Sound, 2005's Tender Buttons and their 2009 collaboration with The Focus Group, Broadcast and the Focus Group Investigate Witch Cults of the Radio Age. 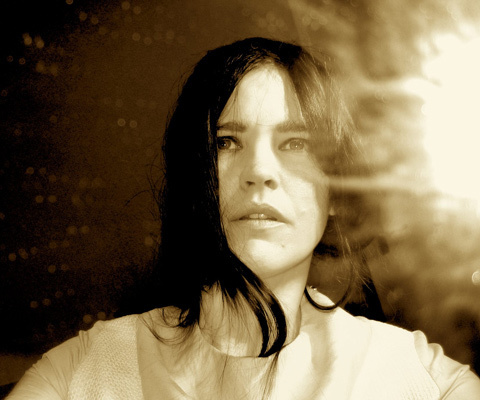 Warps statement about the death of Trish Keenan can read here. Our thoughts are with all of Trish Keenan's friends and family, as well as everyone at Warp Records. Below, our writers recall their fondest memories of Broadcast - whether personal meetings, records or live appearances - as a tribute to Trish's memory. I remember exactly where I was when I first heard Trish Keenan sing. I remember the cold room, the worn curtains, the beige, threadbare carpet, everything transformed by this pure, clear voice beaming its way from the speakers, like a channel of light. I remember the song too, 'The Accidentals'. Cutting through the air like a sound from the future, but also, at the same time, a message from the past. Freezing me, stunning me, taking over me whole. 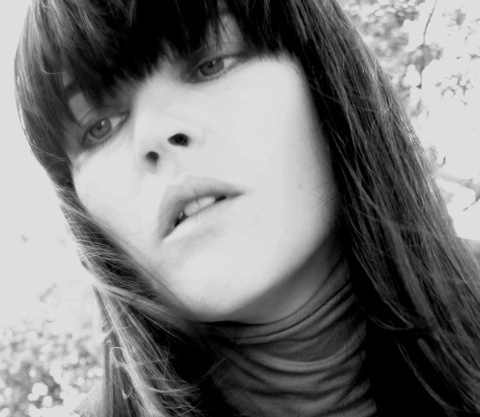 To me, Trish Keenan's voice was like a folk voice – simple, unadorned, not about her, but about the song. It was like the voice of Shirley Collins sent to outer space, blessed of a stark, lucid truth that slowly crept through your bones. It was the voice that set me on my way to discover so much of the music I love – the ghostly loveliness of The Radiophonic Workshop, the innocence of library music, the beauty of The Ghost Box label, the psychedelic gentleness of one of her band's favourite groups, United States Of America, whose only album was released a few months before Trish was born. Now, her voice makes me imagine a little girl with long hair growing up in the suburbs of England in the 1970s, a country full of dread and unease, eerie children's literature and public information films. And then I remember that she is gone, and how the real memories of her, by those who knew her and loved her, are not mine to tread upon. So I go back to what I remember. I go back to that little student room in Oxford in 1999, that CD bought in Shifty Disco in Broad Street, its soft, red cover, my eyes opening wide. I go back to the little demo tape I made singing 'Come On Lets Go' for a boy who said I couldn't sing well enough to be in his band. I remember the time I took to fall in love with Tender Buttons,, before it owned me completely; I remember buying Haha Sound for my boyfriend, and how we both fell under its spell. I go back to the last times I saw her and James perform, in 2009 – firstly at the Shunt Vaults, deep under London Bridge, then at the Vortex in Dalston, playing the soundtrack they had made to a film by Julian House. Being frozen again, stunned right through, by what Trish could do, by the path she had set us on, the worlds she had made for us. Broadcast released their first seven-inch single in 1996 on small Midlands label, Wurlitzer Jukebox. The two songs, 'Accidentals' and 'We've Got Time', would reappear on their Work and Non-Work compilation, but I first encountered the band via this minimally packaged record, which I bought in Rough Trade soon after its release. As you do sometimes, I remember all the incidentals of the purchase – the bright Saturday; the walk to the shop through Powis Square, the location of Performance; what I was wearing – but I can't remember where I had heard about Broadcast, and what led me to buy their record. It was likely their connection with Stereolab that I'd read somewhere; but even entirely on spec, I can see why the cover appealed to me, because it still does. Stark black, with a series of abstract white lines cutting through like radio waves but organic, as if chopped by scissors in a school art class, it had the appearance of both imagination and functionality, a test pressing imprinted with the romance of a not-so-distant, warmer, weirder past. 'Accidentals' is a musical term for a note out of place, a rogue sharp or flat that isn't in the main key signature of a piece of music and whose appearance prompts a momentary change in colour. Broadcast's 'Accidentals' is full of such moments, although they're as textural as well as tonal. 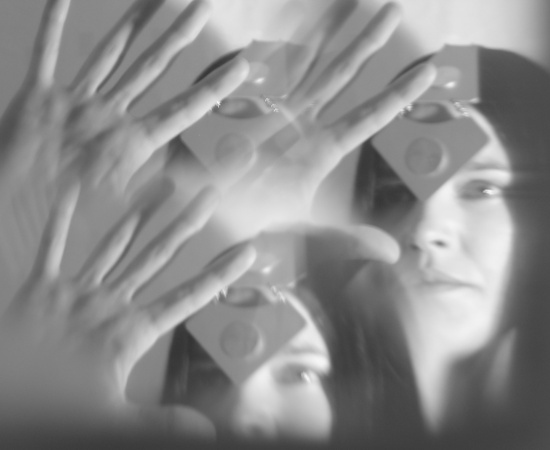 The song revolves around a jazzy, waltz-time pattern that lilts like a pendulum under a high, wavery keyboard line and the slow, low tones of Trish Keenan's voice. "And you will not see or try to believe when there's no guarantee," she sings, and there's a swell of hazy strings and some interference and everything bends out of tune for a second, like a warp or a wrinkle in time. The song morphs further, with a ghostly inversion of the main theme, a faint guitar, a key change, before settling back into its gently rocking self. There's very little vocal on 'Accidentals', yet it's Keenan's coolly delivered, hermetic verse that give the song its odd feeling of mediumship and time-slip. It is as if she – and we – have discovered the music at the same time and spun a personal narrative around it. At the time I preferred 'We've Got Time'. Again, the instrumentation follows a simple, pendulum-like pattern, monophonic synths chiming in one-handed mirror-riffs. It's organic and elegantly clunky, with an echoing vibra-slap somewhere in the mix and a martial snare drum towards the end. The focus of the song, though, is Keenan's vocal, sharper and more fragile than the disassociated chanteuse on the flipside. Recorded almost untreated, no forgiving effects, she entreats in a slowly climbing, sombre melody, almost hymnal in the chorus: "We've got time to work it out. We've got what numbers cannot have." I hear the song now as a classic psychedelic love song, reminiscent in parts of the 1969 White Noise album, An Electric Storm, that Broadcast I'm sure had heard in '96, but I hadn't. In 1996, 'We've Got Time' just seemed the perfect soundtrack or even metaphor for the way I was moving through life, through the resonant new city I had moved to and the awful waiting-room of the late teens. There are various ways of navigating loneliness and isolation and mine was basically to assume a constant state of fiction and mystery. Every old film, abandoned building, strange sound or compelling pop song confirmed my suspicions that there was something else there, a story to search for and excavate. That it was all, at some point, going to happen for me, but that in another dimension it already had.. Broadcast's tales of ordinary magic picked at these enticing, sad layers of past and future, real and not-real. They made me feel a lot better. Often elegiac, almost always dealing on some level with the vagaries of memory – deeply personal or collective or some mixture or both – as a band they remained very much in the present tense, productive and committed, so I feel a bit strange presenting them as so much a part of my own memory-swamp; yet, while I have most of their albums to hand, it was 'Accidentals/We've Got Time' I reached for when I heard that Trish had died last Friday. The record still sounded good, after 15 years and many house-moves; ageing vinyl suits Broadcast well. I played 'We've Got Time' to my husband, who'd never heard it before, and found that I still couldn't really explain it, or them. "I remember buying this," I said, and that was about all I could say. I only met Trish Keenan once, interviewing Broadcast a few years ago for one of the big monthly magazines when Broadcast were reduced to a duo. It wasn't going to be a large feature and Trish was conscious of this, chiding me in a good-humoured but heartfelt way, as the nearest representative of the music press to hand. The last time Broadcast had been interviewed by said magazine it was a 500 word job. Now it would be again. When, she asked me, were Broadcast going to make the leap to two page spread status, and then eventually become cover stars? It was never going to happen, sadly, not because Broadcast didn't merit that sort of coverage or celebration, but because we lived in decreasingly curious pop times. 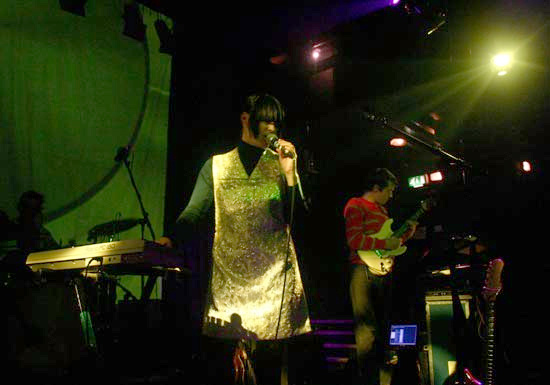 The coverage of Trish Keenan's tragic death at just 42 in the BBC web pages and broadsheets, reflected, between the lines, a comprehension gap, a distant and vague apprehension of just what this "art pop singer from Birmingham" was about. Despite the enormous esteem in which she was held by those who knew her, by those in the know, you felt that for some news outlets, the story was more about swine flu than it was her. This is surely doubly sad. Broadcast were denizens of a 21st century underworld, increasingly disregarded by the mainstream in a way that previous generations of rock and pop mavericks were not. I only met Trish Keenan once, didn't have the privilege to get to know her properly and can only envy those lucky enough to have done so. The Trish I knew was the "Theoretical Girl" who was the arresting focal point of Broadcast. For all their strength, however, as super-confidently self-conscious practitioners of linear, chic, pulsating, analogue, spectral neo-pop, rising to crests of neon throbbing Krautrock intensity it was with 2009's Investigate Witch Cults of the Radio Age, their collaboration with designer Julian House aka The Focus Group that for me they enjoyed their greatest success. It was an eggs-meets-bacon moment, a veritable Piper At The Gates Of Dusk. Trish Keenan had spoken in interviews about her interest in the paranormal, in a way that, as an increasingly ardent rationalist, makes me wince a little, as it generally does when my favourite groups wax in a similar "more things in Heaven and earth than are dreamed of in your philosophy" vein and the inner David Mitchell is compelled to retort, "No there aren't." But in the fantastic, waking dreamland realms of music, the paranormal isn't just permissible, it's a desideratum. Of course, the album's very title, suggests if not outright satire of the occult, a strong indication that it's conscious it's dealing in the stuff of the fictional. That said, this is an album whose sonic matter is a layered mulch of very real, if vanished things, "incidental" music in the strongest, most happening sense of the word, its aural aromas a Proustian spice of a world obliterated in an imaginary, Threads-style nuclear holocaust circa 1983. House's contribution is a backdrop of spliced library music, faded, monochrome detritus – the bleak cawing of crows on 'Let It Begin/Oh Joy', the frantic rattling of doorknobs and alarm clock on 'A Séance Song' - a meticulous pebbledash of distressed, grey-bleached details, intimating the lingering traces of a lost era of cathode transmissions, public information films, of MLR James ghost stories starring Michael Hordern. Crucial, however, was the pop structure imposed by Broadcast, amid all this fade-in and fade-out, this tidal back and forth of magnetic tape - refried, psychedelic swirling organs a la Rick Wright in early Pink Floyd on 'The Be Colony', moments of kinetic lucidity as on the swerving, bustling 'Ritual/Looking In'. Most significantly, it's the sound and spectacle of Keenan herself. There are intimations of the little black haired girl in Bagpuss grown up, of the distant, jet black haired ghost in The Innocents, but she transcends all such comparisons, rising in vertical, Doric splendour from the mix like a High Priestess of Hauntology, with a sort of mock (but not mocking) solemnity on 'Make My Sleep His Song', an apparition, almost holographic, not so much a pop presence as a pop past/presence. All of this is an attempt to describe the "unreal" or ethereal Trish Keenan, her pop self, a highly intelligent, consciously wrought construction. As for Trish herself, her death is cruel and untimely indeed – to have been snatched from this world so suddenly, so quickly, so arbitrarily, leaves those who knew her not just grieving but angry, angry at life for being so fragile, so easily and pointlessly lost. We've been robbed of Broadcast's future, if not, thankfully, their past and presence. Past, present, future – Trish Keenan and James Cargill always understood the relationship between all three. They hark back to a halcyon pop era when "the future" was often represented in the form of outer space, glistening and unvisited apart from the odd, lonely Sputnik craft, waiting to be occupied. Today, a different sense of "outer space", and future musical travel into that space, obtains. It's no longer empty. It's chockfull of detritus, rusty, decommissioned hulks, cacophonic with the radio transmissions of over half a century of popular culture, travelling ever outward - all that has been Broadcast. This was the space through which Keenan and Cargill would have continued to swerve and negotiate, feed off, allow to inform and inflect their thrilling pop permutations. How sad that Trish can't travel that way any further but how grateful we are for what she's left behind. Back in 2000, when I was 17, a boyfriend who was significantly older and wiser than me handed me an album. 'Here,' he said. 'Stop listening to all of that bloody Belle and Sebastian crap, and listen to this. You'll like it. Honest'. He was right. I switched it on and was plunged into the kind of music that sounded like the lost theme to a pulpy television series from the 1960s. Big squelchy Moogs and icy atmospheric synths. The sound of an urban future, or at least someone's idea of it. And through it all, a lone female voice shimmering amidst the darkness, haunting and bold - a focal point in the gloom creating kaleidoscopes of colour in my teenage brain. The band were Broadcast, the album The Noise Made by People. I switched it on my stereo, and it never really left it again. For an entire year, I would listen to it religiously whilst travelling to sixth form college in Hulme, letting it provide the narrative to my days of studying for my A Levels in high rise grey buildings in one of the greyest areas of a grey city. I'd stick my headphones on whilst bouncing on the 86 down Oxford Road, and would pretend to myself that I was the heroine in a film noir, and this album was the soundtrack to my soon-to-be glamorous life. 'Come On Let's Go' the soundtrack to the scenes where I was mucking around with my boyfriend in his bedsit in Levenshulme, 'Papercuts' for his inevitable betrayal, the achingly beautiful 'Echoes Answer' for all the moments I'd hang out of my bedroom window smoking a illicit cigarette and dreaming of the glamorous, mysterious black clad woman I wanted to become, much like I imagined Broadcast's singer – Trish Keenan – to be like herself. Not the most original of ideas, I know, but then again, 17 year olds aren't renowned for being the most original of creatures. What I loved most about The Noise Made by People was all the different avenues it led me down in terms of my musical tastes. It led me to discovering the Gallic wonder of Stereolab, and François Hardy and the inspirational brilliance of Delia Derbyshire and the BBC Radiophonic Workshop, and spending many happy Saturday afternoons in second hand record shops attempting to find records which contained abundant Moog solos. As time went on, the boyfriend who introduced me to Broadcast dumped me in the way that boyfriend's so often do, and numerous albums replaced The Noise Made by People on my stereo, although it was never totally brushed out of sight. Indeed, I remember having to replace it on more than one occasion after I lent my copy of it to more than one 'friend' who loved it so much that they decided to keep it for themselves. However, Trish Keenan's startling voice, and the influence her music held over me in my formative years remain with me to this day. I feel a certain sadness that I always meant to see Broadcast perform live and, for a number of different reasons (most of them due to my own incompetence), never got round to doing so. Now, I never will. RIP Trish Keenan. Thanks for the memories. I saw Broadcast play live three times. The first was in Cardiff in 1996 where, as a gauche fresher nervously anticipating my first reviewing assignment for the student paper, I arrived at the Stereolab gig at the time indicated on the ticket I was clutching. I hoped I wouldn't be too late to catch the support band, whose song 'The Book Lovers' had been whirling near-nightly through Mark Radcliffe's radio show like an underwater waltzer. An hour or so later, Broadcast came on and revealed themselves to be much more than just Stereolab's introverted younger siblings or the canny 60s pastiche artists that 'The Book Lovers' had suggested. The band's aesthetic was still raw, brittle and somewhat awkward and Trish Keenan was its focal point. Resembling the kind of heavy-fringed mannequins that stared balefully through dusty boutique windows in the town where I grew up, she was both a channel for the uncanny and deeply human, an ordinary girl making herself extraordinary with a secondhand dress and a cool, still voice that seemed like the only way she could imagine singing should sound. I saw Broadcast again in 2002, having noticed they were playing La Belle Angele on a night when I was staying in Edinburgh. Now a trio, what they had lost in band members they made up for with a quiet confidence. Trish was afloat on a rainbow sea of projections: science films and found footage, the colours dancing across her face as though she was externalising some inner synaesthesia. The venue burned down shortly afterwards and in my mind I always imagine that a stray fragment of that vivid, bejewelled pop was to blame. The third time was late in 2009 at Manchester's Deaf Institute, when the band, now a duo, had just released their supremely bewitching collaboration with The Focus Group, their longtime visual collaborator Julian House. Although Trish eventually stepped into the spotlight for a obliquely seductive 'Corporeal', she and James spent the first half of their set at opposite sides of the stage, deftly coaxing oscillators and drones into a hypnotic, gloriously malevolent soundtrack to the Op Art swirls and flickering tree branches of House's film Winter Sun Wavelengths. I couldn't wait to see what they'd do next. Live photos by Maria Jefferis of www.shot2bits.net.